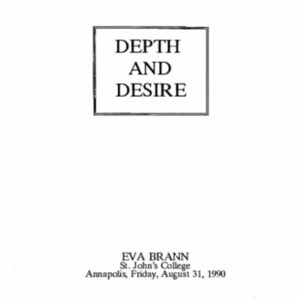 Typescript of a lecture delivered on August 31, 1990 by Eva Brann as part of the Formal Lecture Series. Audio recording of a lecture delivered on November 06, 2015 by Peter Kalkavage as part of the Formal Lecture Series. Audio recording of a lecture delivered on November 04, 2011 by Eva Brann as part of the Formal Lecture Series. 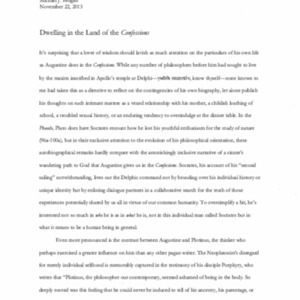 Typescript of a lecture delivered on November 22, 2013 by Michael Brogan as part of the Formal Lecture Series. 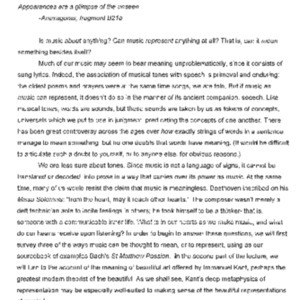 Typescript of a lecture delivered on January 16, 2015 by Matthew Caswell as part of the Formal Lecture Series. Audio recording of a lecture delivered on November 22, 2013 by Michael Brogan as part of the Formal Lecture Series. Audio recording of a lecture delivered on January 21, 2011 by Lauren Brubaker as part of the Formal Lecture Series. Audio recording of a lecture delivered on October 18, 2013 by Ronna Burger as part of the Formal Lecture Series. Audio recording of a lecture delivered on February 8, 2013 by Dylan Casey as part of the Formal Lecture Series. Audio recording of a lecture delivered on April 01, 2011 by Douglas Casson as part of the Formal Lecture Series. Audio recording of a lecture delivered on January 13, 2012 by Matthew Davis as part of the Formal Lecture Series. Audio recording of a lecture delivered on November 11, 2011 by Joshua Greene as part of the Formal Lecture Series. Audio recording of a lecture delivered on January 18, 2013 by Michael Grenke as part of the Formal Lecture Series. 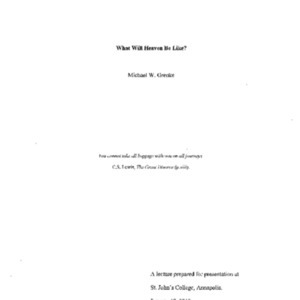 Typescript of a lecture delivered on January 18, 2013 by Michael Grenke as part of the Formal Lecture Series. Audio recording of a lecture delivered on March 25, 2011 by Barbara Hanning as part of the Formal Lecture Series. Audio recording of a lecture delivered on February 21, 2014 by Graham Harman as part of the Formal Lecture Series. Does beauty have a place in liberal education? Audio recording of a lecture delivered on September 03, 2010 by Daniel Harrell as part of the Formal Lecture Series. Sounds recording of a lecture delivered on February 15, 2013 by Daniel Harrell as part of the Formal Lecture Series. 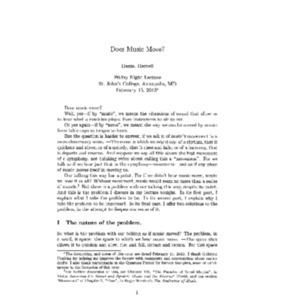 Typescript of a lecture delivered on February 15, 2013 by Daniel Harrell as part of the Formal Lecture Series. Audio recording of a lecture delivered on October 15, 2010 by Peter Kalkavage as part of the Formal Lecture Series.